Can Ardor Challenge Ethereum?steemCreated with Sketch. "Ardor has some unique properties that no other blockchain has. The main solution we were able to solve was what is called the blockchain bloat. My wikipedia donation from 2014 of 3 dollars is still stored on the Bitcoin blockchain. Every new node that joins the blockchain has to redownload and revaluate it and it will continue to exist forever. With ardor we have a unique proposition, [...] we seperated the blockchain into a parent and child architecture. Only transactions from the parent blockhain are participating in the consensus, but this is only a very small proportion of the transactions. All the transactions related to what are called the smart contracts: the applications, the asset exchange, the voting, the marketplace [...] are stored in the child chains. Child chains can be pruned and removed from the blockchain, we only keep a cryptographic proof that they ever existed. So a new node joining the blockchain only needs to download the last 24 hours of transactions from all child chains. This means that the size of the blockchain is now manageable, it doesn't grow linearly forever like with other blockchains. " In a previous article, we pointed out that during the unexpected event of the cryptokitties dapp becoming highly popular, it managed to account for 13,9% of all Ethereum transactions, ended up congesting the system and making Ethereum transactions slower. This in turn made the developers of the Dapp increase their fees, and much worse, cause some serious concern in the holders of Ethereum. If the first truly succesful Dapp on the Ethereum platform causes such overload on the system, it is clear, that the current Ethereum platform is not sufficiently scalable. The same is true of Bitcoin: the biggest Achilles heel of Bitcoin so far has been its low ability to scale. When interest and investments grew, the transaction speed slowed down dramatically and the transfer-fees skyrocketed, making Bitcoin practically unusable as a currency. The grand hopes put on the lightning network by the Bitcoin community shows the urgency of the problem. Is it a sustainable solution compared to Ardor's parent and child blockchains? Only time will tell. These child chains can serve different purposes as simple as providing a ledger for cryptokitties transactions, and as complex as transacting digital assets like the first child chain Ignis. Using parent and child chains system solves the bloating issue and the customization issue. It also enables each seperate child chain to operate transactions separate from their parent blockchain, enabling greater variation, like creating chains with a greater degree of transparency for use in polls and elections, such as the Voting Blockchain Distributed Platform for Ardor. "[...] With proof of stake you actually distribute the validation power of nodes based on your stake in the network. And this is ideal for the corporate environment because this allows you to run on very small hardware like even rasberry-Pi computers. It does not require competition, you can actually decide in advance what power each participant in the blockchain will receive, and thereby control the power of validation that each participant has." So, whereas the consensus mechanism is reliant on the mining mechanism of solving progressively harder problems and requiring progressively stronger CPU power, staking power can be distributed easily according to the necessities of the company, for example according to the percentage owned by the shareholders, and accessed through a simple smartphone. Nice to see some Ardor topics on steemit. 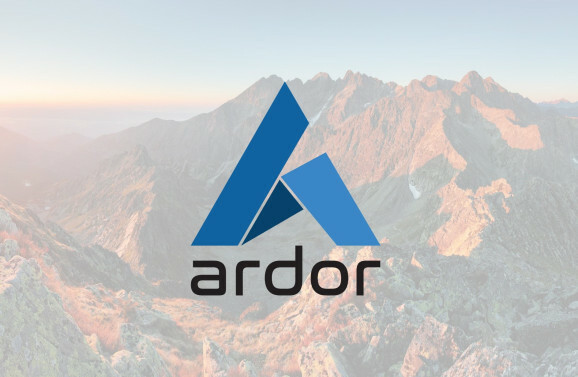 upvoted & promoted :) really great article about Ardor! Very interesting! It is nice to see businesses take the inititative and become early adopters of blockchain technology. Ardor/Nxt is a great choice! Thanks! We are very optimistic about open blockchain technologies. One way or another, they are going to change the world. We're glad you found the article helpful! Checked out your content and followed you. Keep up the good work, Ardor has a bright future ahead as long as they stay ahead of the game. Innovators are winners! Java occupies quite a lot if RAM. upvoted and resteemed, great article about ardor, thx! We're glad you liked it. Thanks a bunch! It seems to me that there are several "so called" blockchain 3.0 systems that aim to compete with Etherium, which is a second generation blockchain solution. I imagine that each one has advantages and disadvantages. It would be helpful to know how they stack up against each other. I am thinking of others like EOS, Cardano etc. This is a fascinating topic we hope to cover in the future. Second generation tech (Ethereum) was revolutionary, but has crucial weaknesses like scalability and interoperability. As an ERC-20 token, EOS is more dependent on the specific strengths and weaknesses that Ethereum faces than Cardano. Then again, Cardano is a project that is being built slowly, with scientific peer review, and is unlikely to produce anything revolutionary for a while, possibly in 2019. Building on Ethereum, EOS should have the edge in developing speed and creating real use cases, Dapps, etc. Our article was featured on the Ardor platform official Twitter page! We are very proud! Unfortunately they tagged the wrong account.